An ongoing controversy over senator spending has claimed Canadian Prime Minister Stephen Harper’s chief of staff who resigned over a $90,000 cheque he wrote to one of the senators involved in the scandal. Nigel Wright, who left his lucrative position as a managing director for a massive Bay Street private equity firm to work for the Prime Minister, gave Sen. Mike Duffy the cheque to repay improperly claimed housing expenses. Several Canadian senators have seen their expenses audited over allegations of improper claims. Wright framed his cheque as a way to get taxpayers off the hook for the expenses. “My actions were intended solely to secure the repayment of funds, which I considered to be in the public interest, and I accept sole responsibility,” said Wright in his statement. Duffy didn’t publicize where he got the money to repay the housing expenses and when reports emerged the money came from Wright it raised questions about the ethics of the prime minister’s most senior staff member cutting a cheque to a senator who scrutinizes government legislation. Duffy left the Conservative caucus last week when it emerged he used Wright’s money to repay the expenses, though not until after attempting to deny that was the source of the money. “I regret the impact of this matter on the government, our caucus, and all of my colleagues, for whom I have the highest regard,” wrote Wright. Harper and severable cabinet ministers met Wright’s resignation with disappointment, defending him as a man of integrity. “It is with great regret that I have accepted the resignation of Nigel Wright as my Chief of Staff. I accept that Nigel believed he was acting in the public interest, but I understand the decision he has taken to resign. I want to thank Nigel for his tremendous contribution to our government over the past two and a half years,” said Harper in a statement. Immigration Minister Jason Kenney, credited by some with helping the Conservatives win the last election by securing the vote of Canada’s growing ethnic minorities, said he was sorry to hear about Wright’s resignation. “Brilliant, decent man who made huge sacrifices to go into public service. We need more like him,” tweeted Kenney. “Canada is stronger because of his service as Chief of Staff to our Prime Minister,” tweeted Moore. Fellow Conservative Sen. Pamela Wallin was also recently forced out of the Conservative caucus over $320,000 in travel expenses. The Conservatives have long pledged to overhaul Canada’s unelected Senate, a frequent cause for debate throughout Canada’s history. 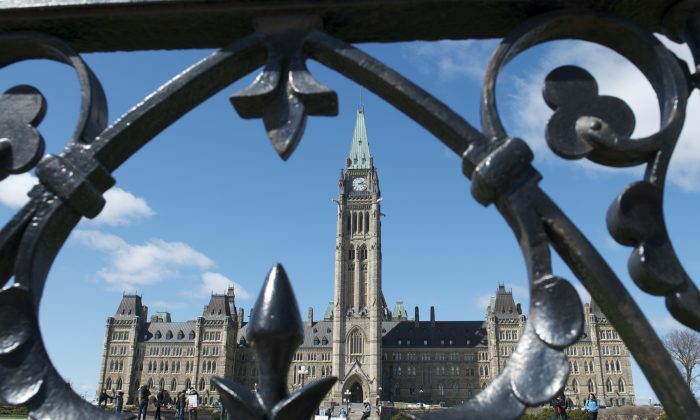 While the Conservatives would like to see senators elected, Canada’s leftist New Democratic Party wants to see the upper house dissolved entirely. Canadian senators are appointed by the government of the day for life though forced to retire at 75 with generous pensions. While the Senate has authority to introduce legislation and reject legislation created by the government, Canada’s upper house is often little more than a rubber stamp. Many senators are party insiders, fundraisers, or failed political candidates.